Powerful but easy-to-use software for programming the buttons with Windows shortcuts. 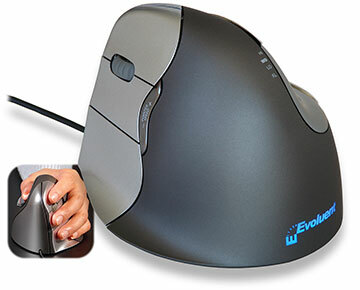 You can do things without moving the mouse or touching the keyboard. 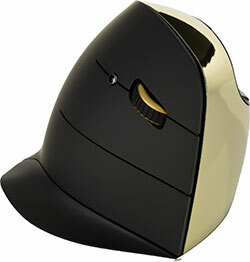 Love the vertical mouse…awesome! 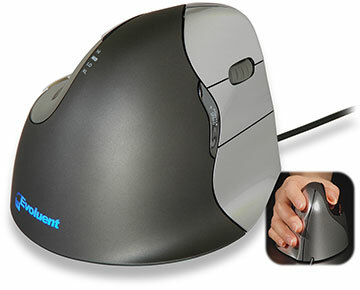 Many of us at [utility company] have been using the VerticalMouse 3 (right and left) for several years. 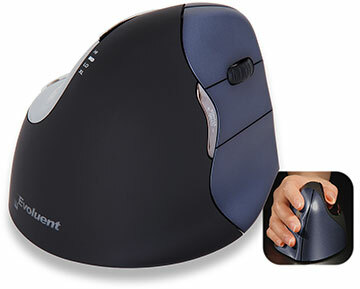 Our employee will be out on leave until we get a replacement mouse" our user has pretty severe tendonitis,regular mice only exacerbate the problem – your mouse seems to have helped her a lot. 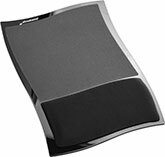 Supports a tablet upright. Looks and feels like a throw pillow. 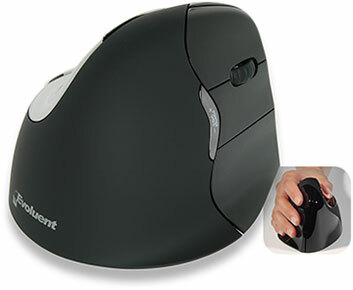 You can put your mouse much closer on the right side as the number pad is on the left side. 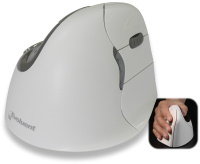 A soft wrist support lifts your forearm slightly to help align it with the hand and reduce pressure points. Handshake grip avoids forearm twisting. Stylish and super comfortable. Silver finish. For medium to large right hands. Handshake grip avoids forearm twisting. Stylish and super comfortable. Dark chrome finish. Handshake grip avoids forearm twisting. Stylish and super comfortable. Light gold finish. Thoughtfully sculpted to support your hand in an upright handshake posture that avoids forearm twisting. 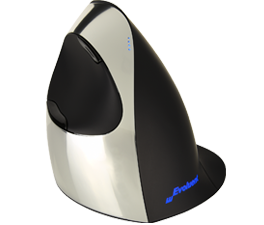 Thoughtfully sculpted to support your hand in an upright neutral posture that avoids forearm twisting. Thoughtfully sculpted to support your hand in an upright neutral posture that generally avoids forearm twisting. Mac OS only. Bluetooth connection. Identical to the Bluetooth model except for the color. Mac OS only. Bluetooth connection. 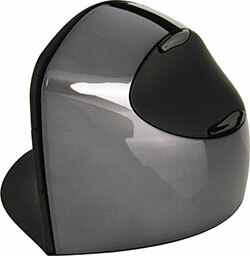 Identical to the Mac model except for the color. 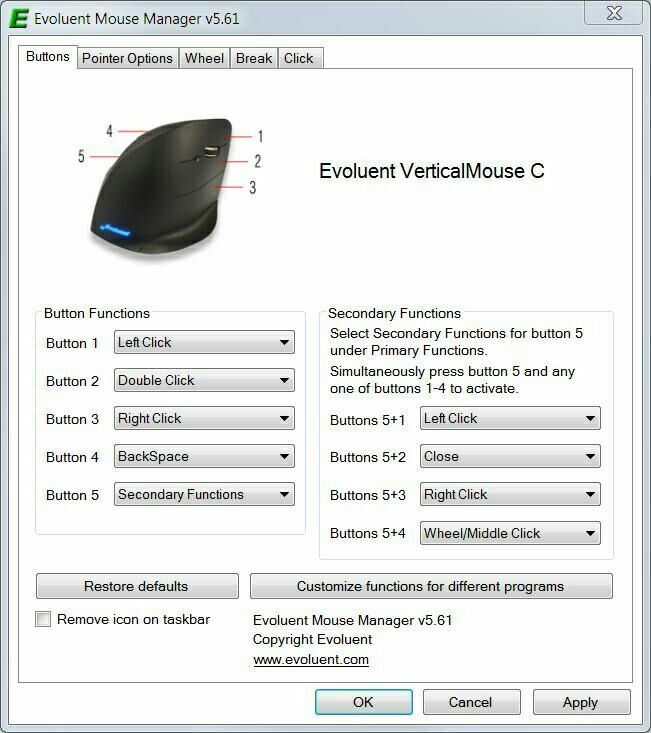 A mirror-image version of VerticalMouse 4 Right. 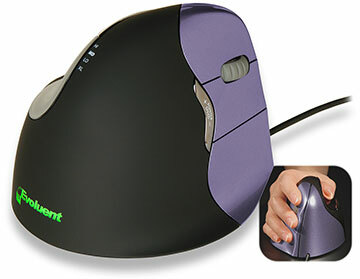 For medium to large left hands. 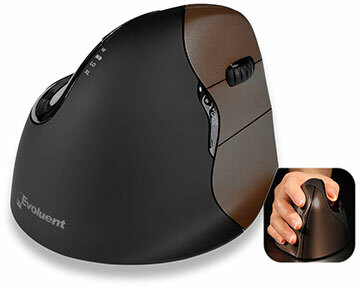 No numeric keypad so you can put your mouse closer on either side. Notebook quality, precision key mechanisms. 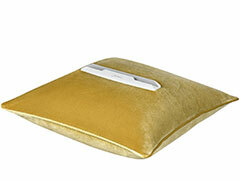 Fits over the existing arm rest on your chair from 6" to 11" long to make them much softer and more comfortable.